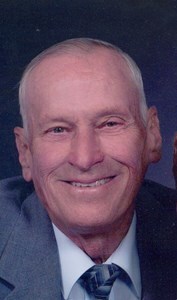 Carl Wayne Pickett, 79, passed away on February 10, 2019. He retired from GE after 30 years of service. Carl was an avid UK fan. His family meant the world to him and he looked forward to the time he spent with them. He was preceded in death by his parents, Estill and Dell Pickett; brother, L.C. Pickett and sister, Margaret Pickett. Carl is survived by his loving wife of 56 years, Clara Pickett; sons, Jeff Pickett and Barry (Michelle) Pickett; granddaughters, Jennifer (Nick) Walters, and Diana (Brandon) Goodwin; brother, David (Dona) Pickett and a host of nieces and nephews. Visitation will be Wednesday, February 13, 2019, at Newcomer Cremations, Funerals & Receptions, Southwest Louisville Chapel, 10304 Dixie Highway, Louisville, KY from 4pm-8pm. A celebration of Carl's life will be Thursday, February 14, 2019 beginning at 10am at the chapel of the funeral home. To leave a special memory of Carl for the family, please select the "Share Memories" tab above. Add your memories to the guest book of Carl Pickett.